Eyes gouged; eyes augmented; eyes blinded with old age; eyes guarded, darting, glassed-over; eyes squinting to check if the horizon has sharpened. A boy shuts his hard as he struggles to absorb his history lessons at school. His sister puts on their father’s glasses, giggling at how they warp her world. 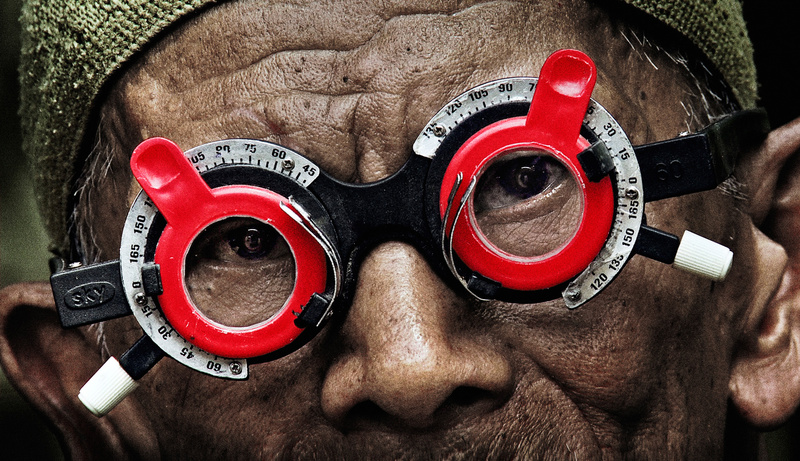 Eyes multiply, kaleidoscopic, as the structuring metaphor of Joshua Oppenheimer’s The Look of Silence, a new documentary on the anti-Communist purges in Indonesia that, between 1965 and 1966, killed up to a million people.